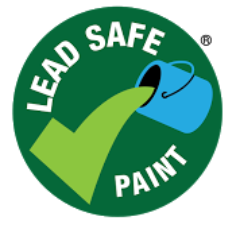 Lead Safe Paint® is an independent, third party certification program. It verifies that all paint products sold by a certified brand contain less than 90 parts per million (ppm) total lead content (dry weight). The scheme is focused solely on a single attribute of the product – its lead content. The scheme does not involve any audits of production processes or controls. All products sold under a paint brand name are analyzed for lead at the time the company first applies to become certified. Once a brand is certified, a random sample of the brand’s paint products are purchased and analyzed each year to ensure continued compliance. All the paint products sold under the brand(s) for which the company seeks certification must be tested and have lead content levels below 90 ppm.